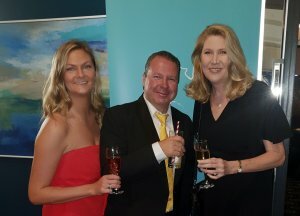 Last week’s Adventure Tourism conference and the Inaugural Awards night was attended at the Gold Coast by Paul Neubecker (Emus Beach Resort), Eloise Chaffers (GKI Hideaway) and Mary Carroll (Capricorn Enterprise). The conference highlight was an incredible keynote presentation by John Anderson, founder of Contiki. His inspirational talk about believing in yourself and your business aspirations captivated the audience on every word he spoke. His incredible story is captured in his book “Only Two Seats Left” which demonstrates how a simple idea with a starting capital of just 25 pounds became a worldwide travel company with an internationally recognised ‘iconic’ brand name which has given over 2.7 million young people the Contiki experience. Other speakers on the day talked about the fast pace of digital, the changing face of the traditional ‘backpacker’ or ‘youth’ traveler, the importance of the ‘experience’ and as John put it ‘boy meets girl’ attraction to travel! The role of digital is to broaden exposure, build relationships, market, sales and customer service – it is about “stories not stuff”. Gen Z (born 1997 to 2009) made three-quarters of their travel reservations on their smart phones in 2017. Of the Millennials (born 1981 to 1996), 63% want to travel and 61% want to be entrepreneurs and they are seeking health, fitness, spirituality and destination festivals and events. 77% of Millennials avoid advertising on TV and radio, 56% don’t use commercial radio. 88% don’t want travel deals emailed and none of them want to be phoned. In 2002, travelers used three sources to plan their holiday compared to 10.5 sources in 2017. In 2007, 50% of bookings were made online compared to 80% in 2017. 70% of bookings made with traditional travel agents in 2007 were made via online travel agents (OTAs) in 2017. In 2002, 50% of youth travelers sent postcards. There are now 1.8M digital nomads globally who prefer shorter, more frequent visits with 51% in 2017 seeking sustainable travel and “living like a local”. 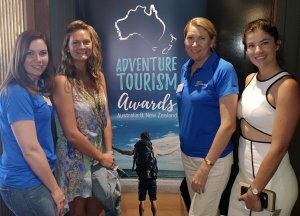 It was fantastic to see nearly 300 people at the Inaugural Adventure Tourism Awards on the Gold Coast, where this amazing sector of our tourism industry came from all over Australia and New Zealand to celebrate their successes.